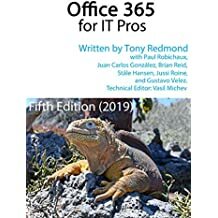 I haven’t been adding much text to this blog recently but that’s because I was away in France and have been busy submitting the first chapters of my SP1 book to Microsoft Press. The trip to south of France was interesting. We had 3 degree C weather in the Narbonne area coupled with driving rain. Not what you’d expect in May in the region of France that statistically receives most days of sun annually! In any case, we had a good look around the area of the Canal du Midi, Narbonne, and Carcassonne and formed some idea of what’s possible in terms of houses. The trip back was interesting. Volcanic ash drifted down from Iceland and forced Irish airlines to cancel flights. We arrived into Gerona airport (very nice, very clean, very efficient) for our Ryanair flight to Dublin and found that it was cancelled. We decided to reroute through the UK and switched to a Ryanair flight to Bournemouth, using the logic that once we were in the UK it would be easier to get to Ireland. A series of trains followed before we eventually arrived in Holyhead (http://raileasy.co.uk proved a very effective way of booking cheap rail tickets) to get the Irish Ferries fast catamaran to Dublin port. As Microsoft gets close to releasing their public build of Exchange 2010 SP1 at TechEd North America in New Orleans in June, I anticipate that all of the features should be ready and the questions answered, so all that will be left to do is a little matter of writing. So far the word count in the manuscript is some 420,000 words and there will be more – be warned that this will be a heavy book. I also have to work on an article for Windows IT Pro Magazine about Exchange 2010 SP1. The challenge here will be to boil down all of the material that I could write about into 2,500 words. That’s a task for another day… back now to the chapters that need to go to Microsoft Press.